This 96' Hargrave yacht for sale has everything - even an elevator! : Atlantic Yacht & Ship, Inc. This 96′ Hargrave yacht for sale has everything – even an elevator! 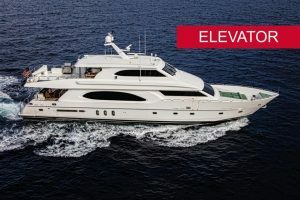 Price reduced on this beautiful 96′ Hargrave yacht with an elevator!